Graduate Aptitude Test in Engineering (GATE) is one of the most sought after entrance examination to pursue post-graduation in engineering disciplines. It is a national level entrance exam to offer admissions into M.Tech./Ph.D. courses in IITs , IISc, IISERs and other reputed institutions. 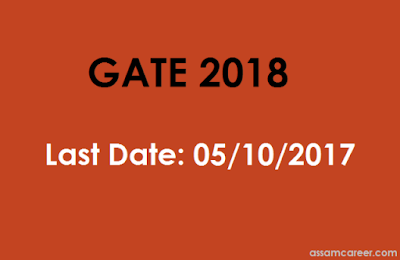 GATE 2018 will be organized by IIT Guwahati on behalf of the National Coordination Board (NCB)-GATE, Department of Higher Education, Ministry of Human Resource Development (MHRD), Government of India. The online examination is scheduled to be held on February 03, 04, 10 & 11, 2018 (Saturdays & Sundays). (H) Candidates with qualifications obtained through examinations conducted by professional societies recognized by MHRD/UPSC/AICTE as equivalent to B.E./B.Tech. Those who have completed section A of AMIE or equivalent of such professional courses are also eligible. 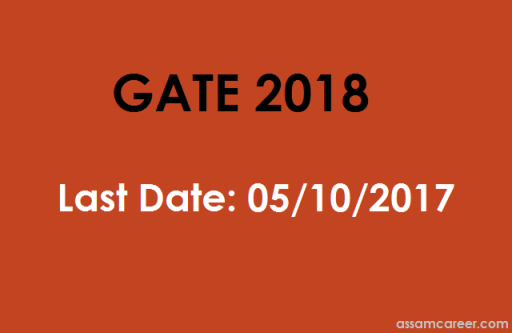 Age: There is no age limit to apply for GATE 2018. Application Fee: ₹ 750/- for the SC / ST / PwD category candidates; ₹ 750 for women candidates; ₹ 1500 for all other candidates. The application fee can be paid with net-banking or debit/credit card. Selection Process: Candidates will be selected based on Online Computer Based Test (CBT). How to apply: Eligible and Interested candidates have to apply through the GATE online application processing system (GOAPS) at official website of IIT Guwahati link www.gate.iitg.ac.in from 01-09-2017 to 05-10-2017.